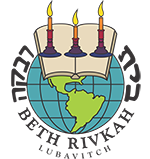 Located at 470 Lefferts Ave. corner Brooklyn Ave.
At Beth Rivkah Elementary School (Grades 1-8), children develop confidence and a commitment to learning that will remain with them for the rest of their lives. Our students thrive in a nurturing environment of creative and experiential teaching, under the direction of caring and experienced educators who understand the unique individuality of every student. Here students are given the opportunity to grow and develop positive habits of creativity, self-expression, and self-discovery. They are encouraged to ask questions, experiment, and solve problems. In this way, students develop a sense of themselves as lifelong learners, and are prepared for the more intense educational pursuits of High School and beyond.